As of the first of January, California became the largest state in the US to legalise recreational cannabis use. This much-anticipated piece of news comes two decades after the state became the first to legalise marijuana for medicinal use. It goes back to California’s successful 2016 ballot initiative which saw 57 per cent of voters electing to fully legalise marijuana. Under the new law, which kicked in on New Year’s Day, adults aged 21 or older no longer need a medical license to buy and use the drug, and can use, carry and buy up to an ounce of marijuana for non-medical use, as well as grow up to six plants at home. On domestic shores, the Australian government announced yesterday it would be allowing the export of certain cannabis products to international markets — a move which needs to pass Federal parliament when it returns to sessions in February 2018. It should be noted that CPH is an early stage company and investors should seek professional financial advice if considering this stock for their portfolio. Minister for Health, Greg Hunt, stated that the government hopes the legislative change will pave the way for Australia to become the world’s number one medicinal cannabis supplier. According to Californian state estimates, more than 400 state-licensed cannabis businesses were operating on New Year’s Day across California. Dispensaries in San Diego, Santa Cruz, the Palm Springs Area and the San Francisco Bay Area conducted the majority of Californian recreational cannabis sales, as prospective retailers needed to have both city and state licenses to participate in the first day of sales. The sale of cannabis in California is still subject to strict conditions — it must be bought from a licensed dispensary, with proof of legal age required for purchase. Legal buyers in the newly created market will also now have to pay state, sales and municipal taxes, which will generate an estimated US$1 billion per year. Technically, the US federal government still classifies the drug as a controlled substance, alongside heroin and cocaine. That did not stop Californians on New Year’s Eve, however, as some raised marijuana joints in lieu of more traditional champagne to toast the turn of midnight. To date, 29 US states have adopted medical marijuana laws. 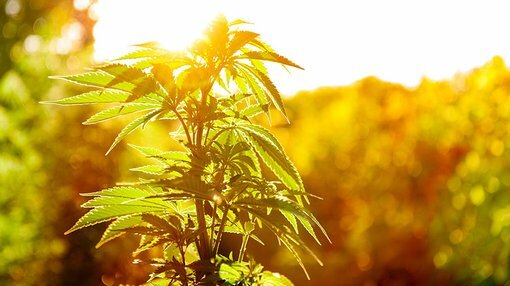 Alongside California, seven other states, as well as the District of Columbia, have legalised recreational pot, comprising a budding market that investment bank Cowen and Co. (Nasdaq:COWN) predicts will grow to US$50 billion by 2026. Cowen researchers estimate that legalisation in California alone will triple the size of the nation’s legal cannabis industry within a decade. According to research firm BDS Analytics, the market for marijuana in California specifically — the world’s sixth largest economy with a population nearing 40 million — is expected to reach US$3.7 billion this year and more than US$5.1 billion in 2019. “This is an historic day for the state of California,” Bureau of Cannabis Control Chief Lori Ajax told Green State on New Year’s Day. What about tax and regulatory systems? Some commentators have pointed out that in light of the complex web of taxes and regulations created to govern sales of the drug, the ensuing red tape will make things patchy to begin with. Hot on the heels of this development, US and Canadian pot stocks are spiking. And the ASX’s collection of pot stocks, which as a whole saw some considerable highs in 2018, seems to be moving in a similar direction. Take, for example, the aforementioned Creso Pharma (ASX:CPH), as well as MGC Pharmaceuticals (ASX:MXC) and the Hydroponics Company (ASX:THC). While these ASX stocks don’t necessarily have direct exposure to the US pot market, this may well be a sign of things to come — a green light, so to speak. That said, all three companies are at early stages and represent a speculative investment. As such investors should seek professional financial advice if considering this stock for their portfolio. Domestically, the main debate about marijuana has centred on its medicinal use. Last year, the Australian federal government loosened restrictions around cannabis importation to treat a range of medical illnesses from epilepsy to cancer, representing a legislative landmark that sparked a surge in ASX pot stocks. Regulations that currently prevent exports of medicinal cannabis products will be changed once parliament resumes in February. The legislative changes around exports will cover cannabis-based treatments such as oils, patches, sprays, lozenges and tablets that have the potential to relieve the pain and symptoms of a diverse range of conditions. This is a move that’s both practical and strategic, aiming to cultivate a wider market for locally produced medicine to provide a more stable supply for Australian patients, and also setting up ambitions for Australian to emerge as a leading global producer of medicinal marijuana products. But is Australia receptive to legalising recreational usage? Cannabis advocate Greg Barns told 9 News that it’s inevitable. “There is a global trend now, not just in California, but you will see on July 1 this year, the whole of Canada moving to legalise the personal use of cannabis,” said Barns.